We provide you with answers for any question related to Patents, Trademarks and Designs worldwide. Your idea can be protected with a Patent, Utility Model, Design Patent. Trademark or Copyright. 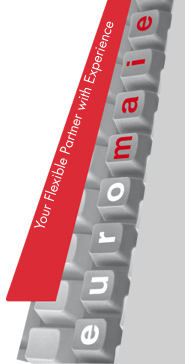 Selecting the Intellectual Property protection best suited for your needs, considering the financial position and future development possibilities of the enterprise both in size and geographically, is where euromaier® provides optimal support. We provide all services related to intellectual property: Patents, Trademarks, Designs and Copyright. More information is available by selecting from the menu to the left.